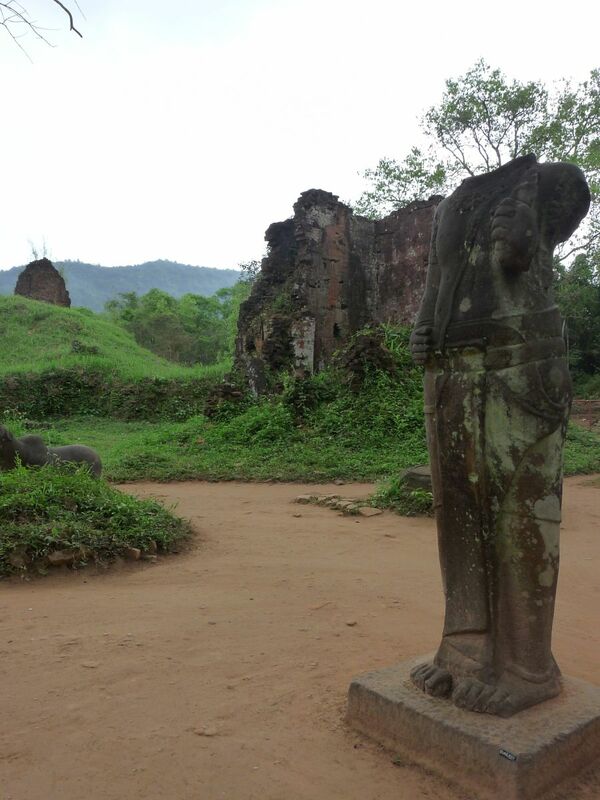 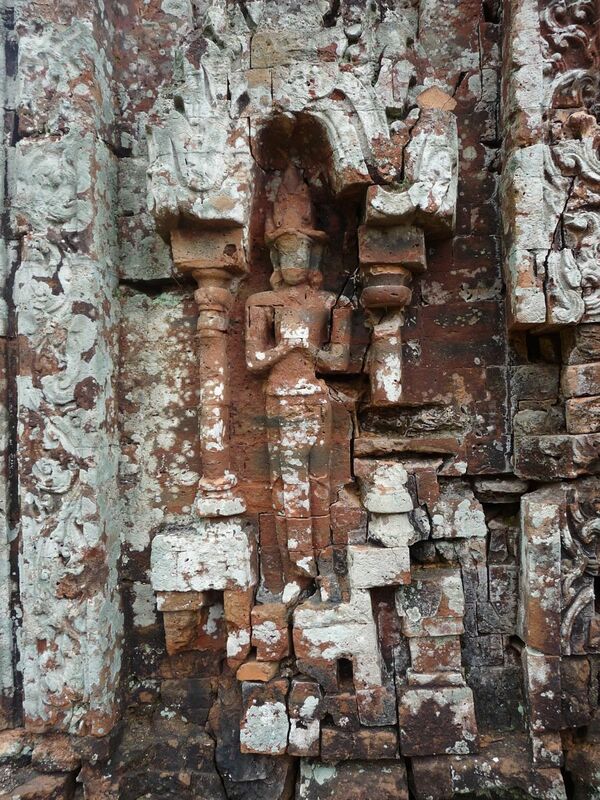 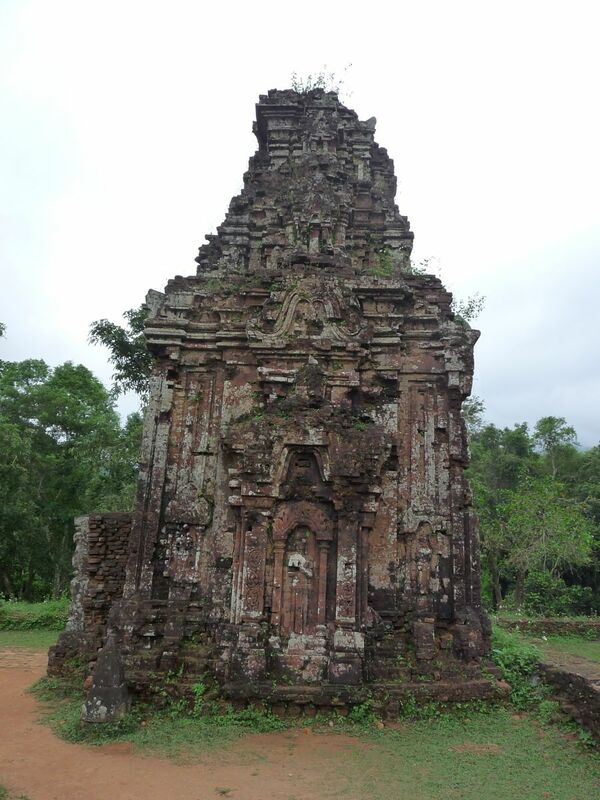 In March, we took a break from sourcing new products in Vietnam to visit the Cham temple complex of My Son. 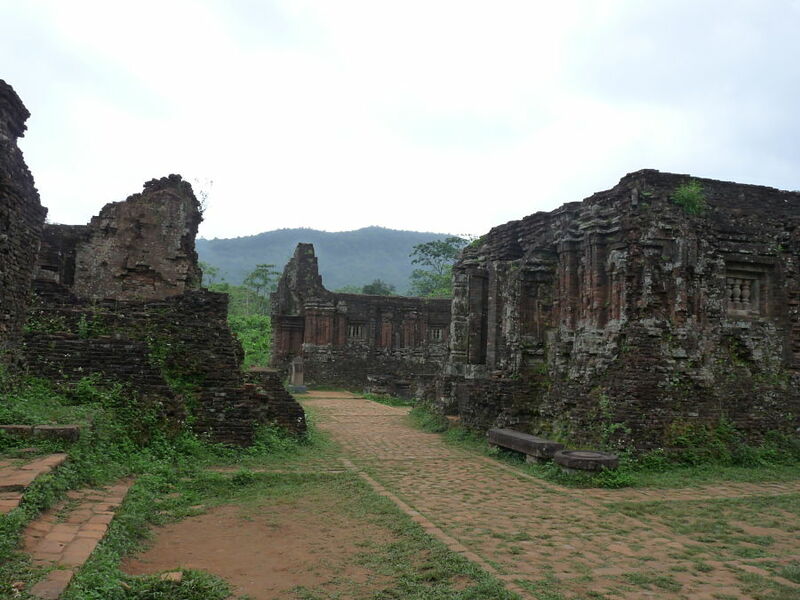 Jumped on our motorbike at 4am and drove the 40km to get there from Hoi An as they were opening. 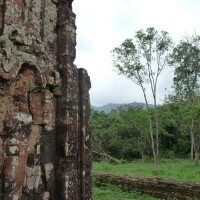 Made it in time to beat the tourist herds and were rewarded with breathtaking serenity and beauty. 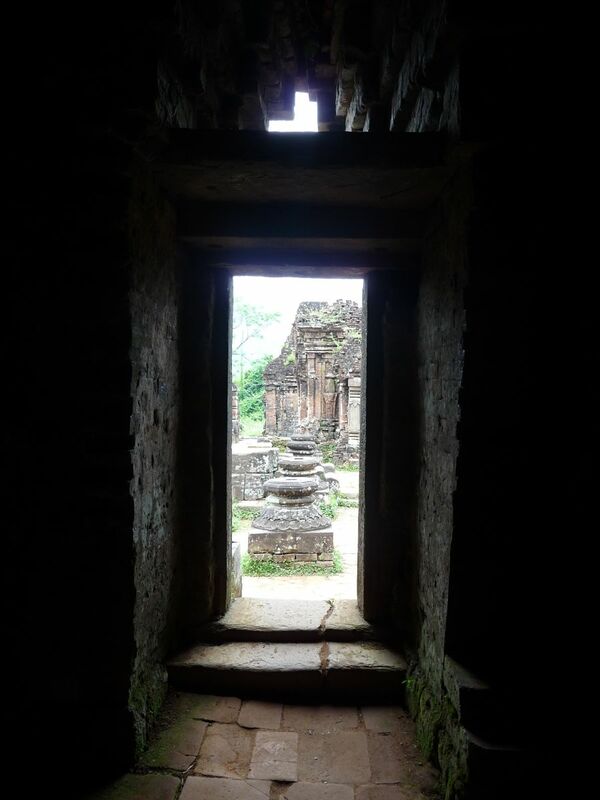 The journey did seem to take ages and it can at times be difficult to find your way somewhere in a country where no road signs are in English, but stopping and shouting “My Son” (pronounced me sun) at roadside vendors and setting off in the direction of their outstretched fingers did the trick. 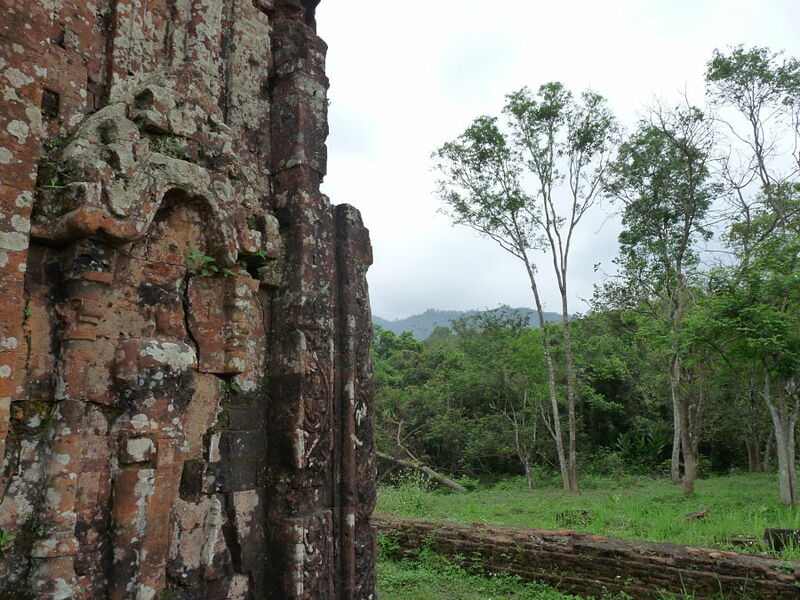 Eventually we arrived in one piece eager to start exploring. 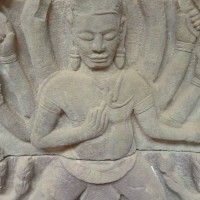 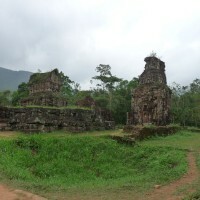 The Kingdom of Champa flourished in central Vietnam between the 2nd and 15th Centuries, sandwiched between the Khmer kingdom to the South and the Vietnamese to the South. 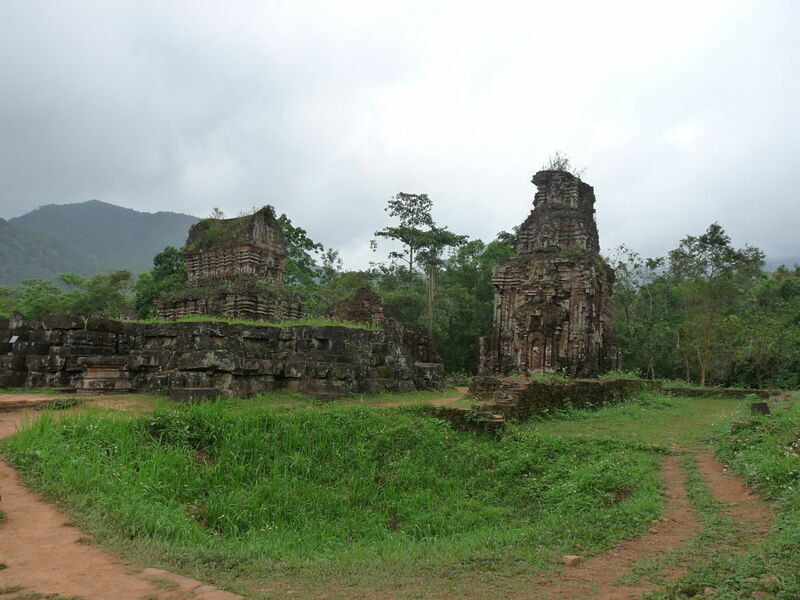 A UNESCO World Heritage site, My Son was established as a religious centre in the 4th Century remaining occupied for 11 Centuries. 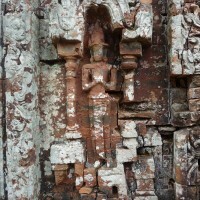 The intricate carvings on the temples were added after their construction. 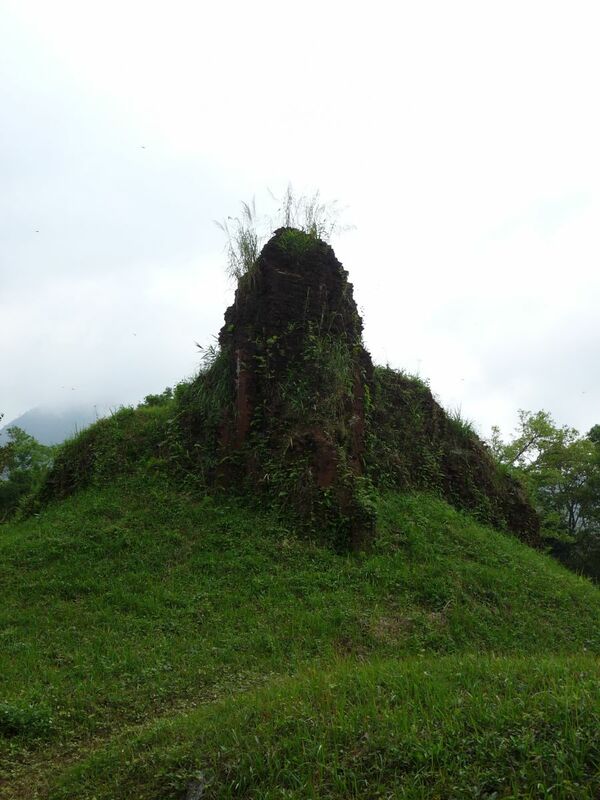 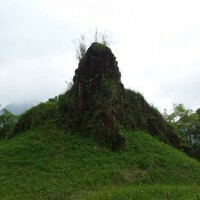 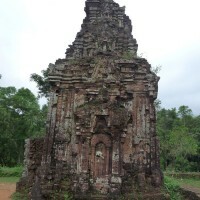 Many temples are dedicated to Cham Kings associated with Shiva. 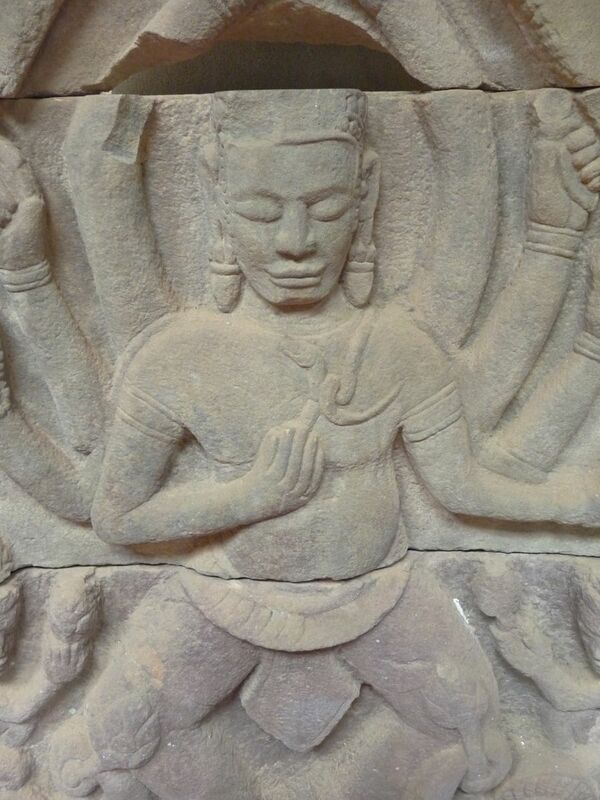 The religion of Champa was Hinduism and the sacred language was Sanskrit. 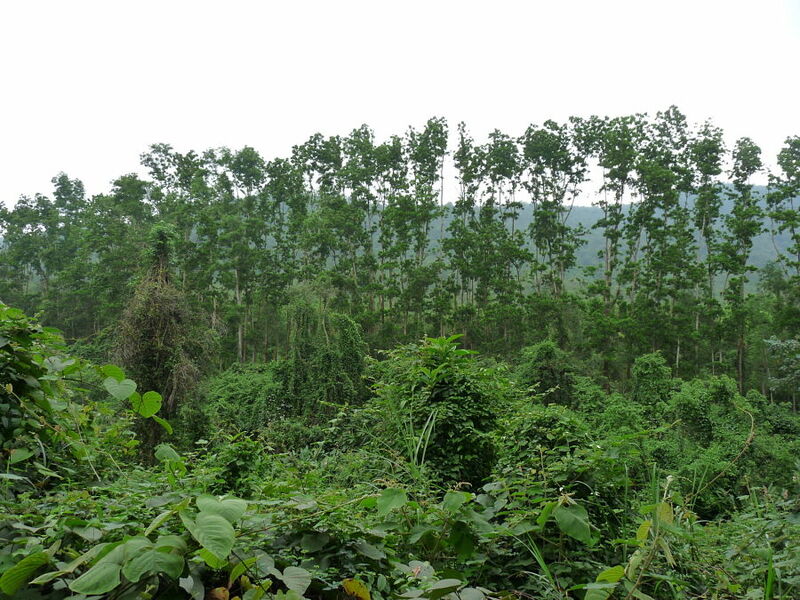 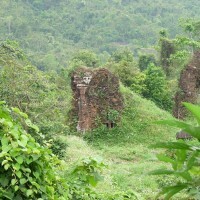 Though smaller than other sites in South East Asia, this complex is notable for its idyllic setting in the jungle, complete with trickling streams. 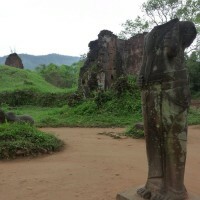 Early in the morning it is a very atmospheric and tranquil place to spend some time, wandering the ruins. 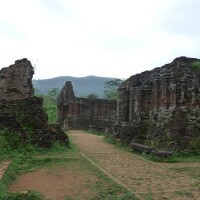 Consisting of four main groups it is easy to traverse and visit them and all the surrounding smaller groups before lunch. 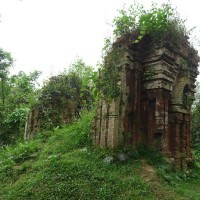 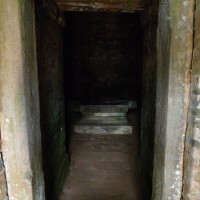 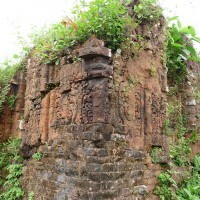 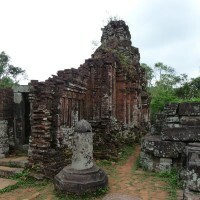 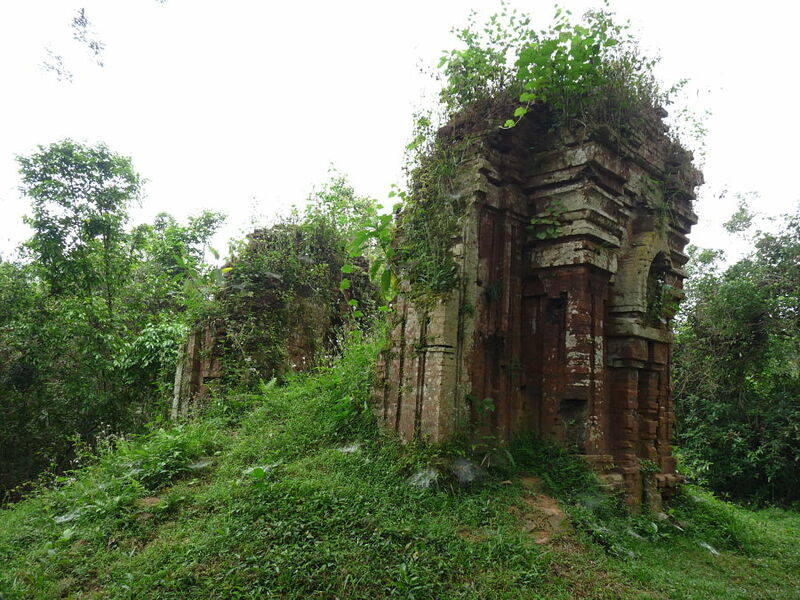 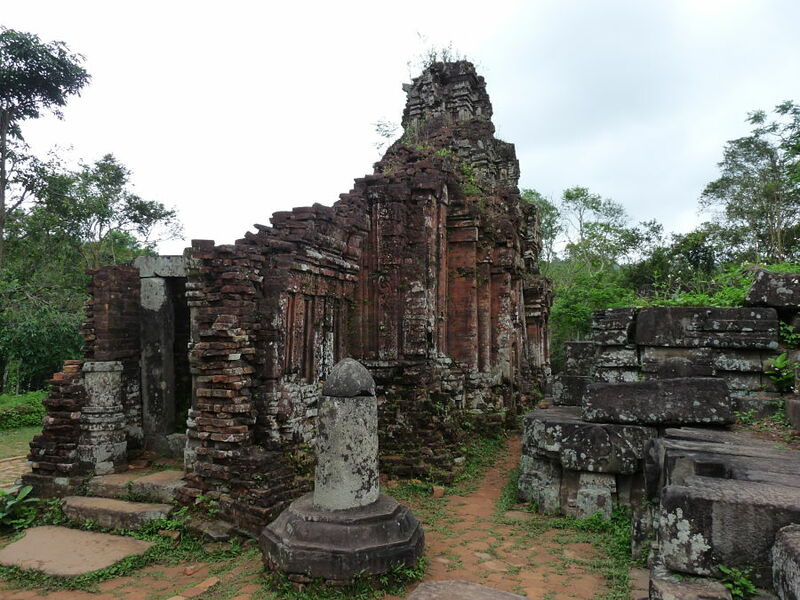 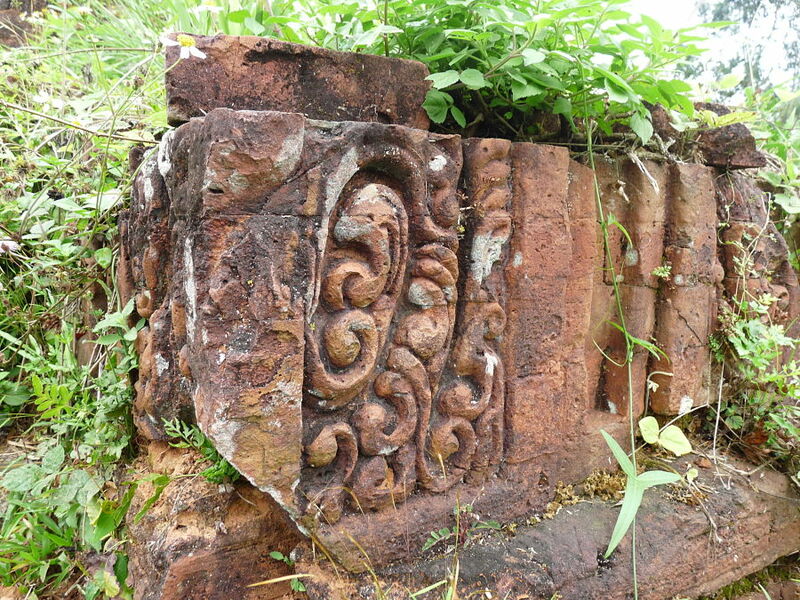 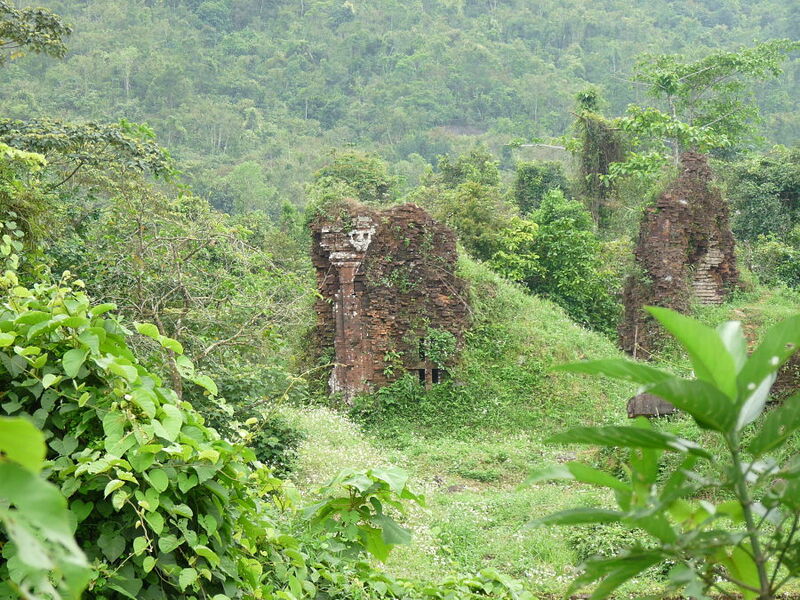 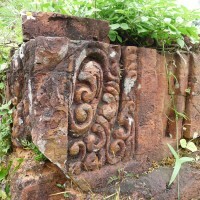 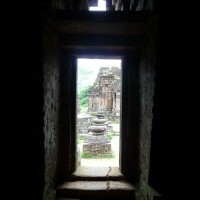 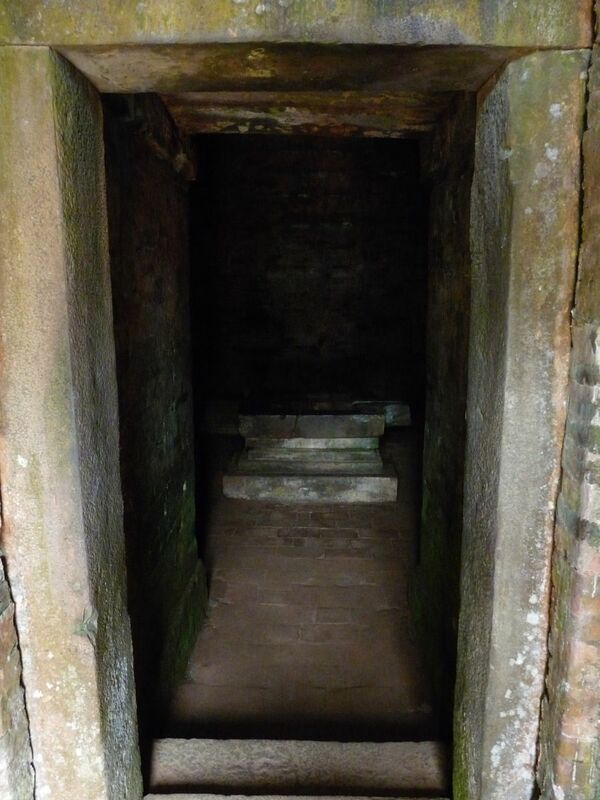 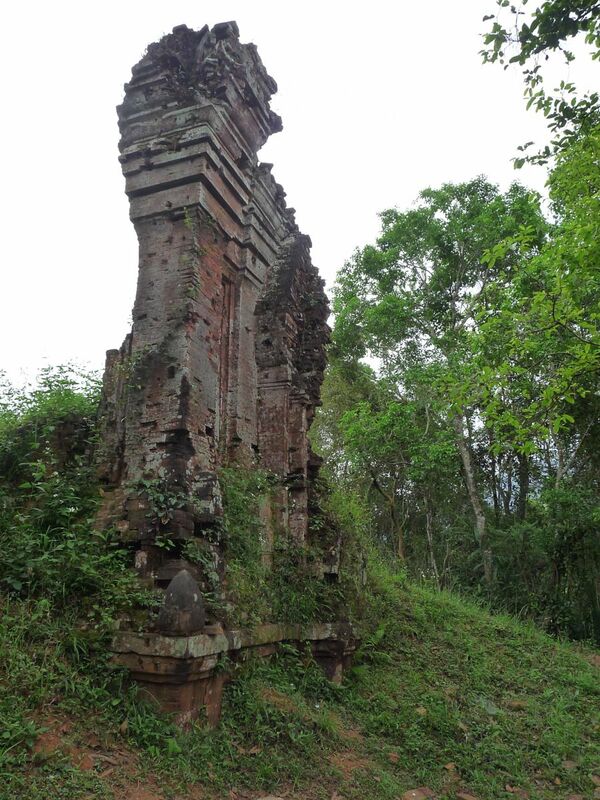 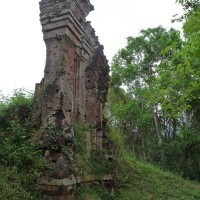 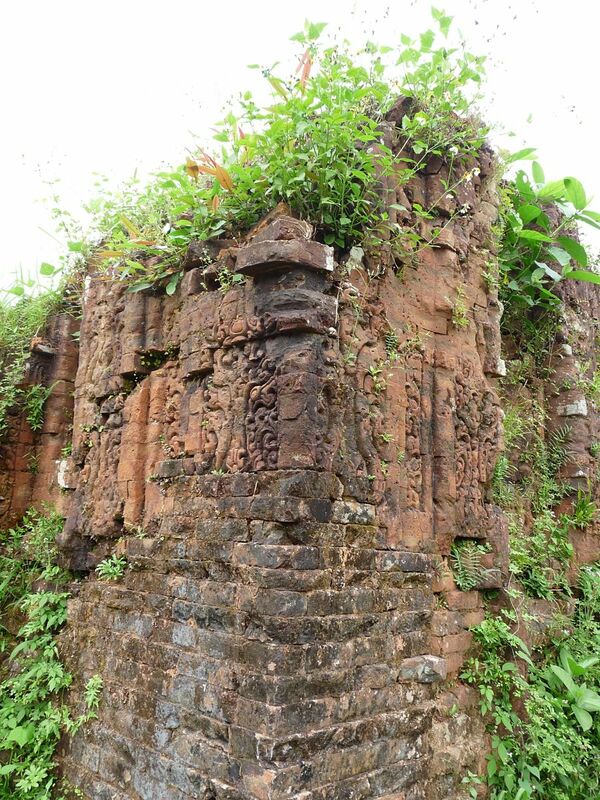 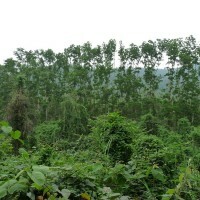 Today there is still a thriving Cham population in Vietnam and temples in the South are still active places of Worship.